Also: The WCHA TV feed from BGSU was very good, but I sure get tired of their student announcers in a hurry. You can use the TuneIn app to listen to Bruce and pause the audio until it is in sync with the video. A little complicated but worth it. Huh? Sounds to me like I would have to sit my beer down or something to do that...so probably not worth it to me. Plus, I'm not sure I want to take tech advice from a guy who messed up "reply with quote." But Bruce is a good 45-60 seconds ahead of WCHA TV. The Tunein app is fanatastic. I use it all the time to listen to road games while I’m driving home from work. I can't argue with that, I am not considered to be a tech expert by any means. I would rather the games be live on TV in Fairbanks. At least there will be a few series later this season that will be. Steven Jandric was picked as October WCHA Rookie of the Month and Justin Woods was an honorable mention for defensive player of the month. Good job guys. 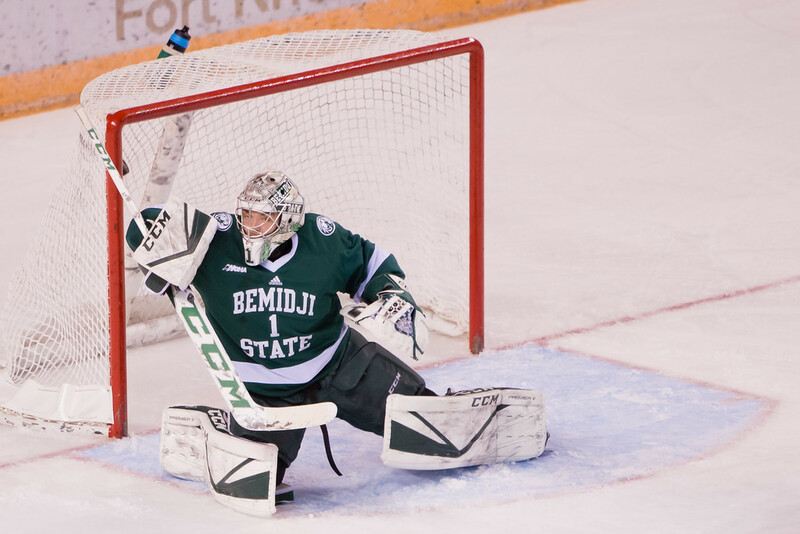 Now let’s protect home ice against Bemidji this weekend. Jandric has been a nice surprise this season. I like this idea..... I wish they would do that! The big technical issue with that idea is this: the feed is produced in-arena by the home school and sent out to Stretch for re-distribution. Road radio teams aren't necessarily going to have the equipment with them to patch in to make that work, and that's another step on top for the school. Lastly, not every school sends out a radio broadcast for road games. UAH hasn't since I did it 15 years ago. The Nooks haven’t been a very good home team the last few years. Not only does it seriously screw with the “win at home and split on the road” philosophy, it doesn’t do much for fan enthusiasm and attendance. And BSU in particular has been a thorn in our side. Even in close contested games we haven’t gotten the job done. USCHO writers predict we get swept at home. Time to turn that around. -Getting swept at home by BSU would be very disappointing, regardless if the games are close or not. 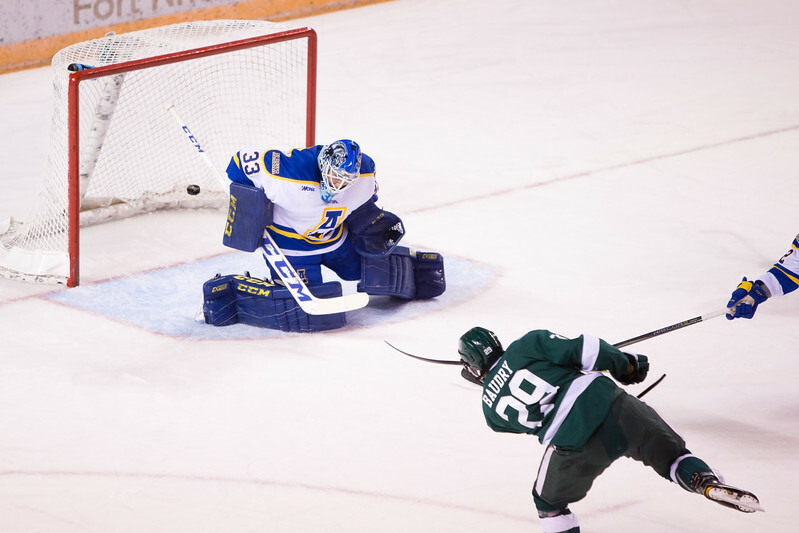 -Splitting our home series with BSU is probably what we should expect. -Sweeping this BSU team on home ice would be a statement. Last edited by mmf; 11-02-2017 at 08:49 PM. Call Tammie..... That should be a done deal. 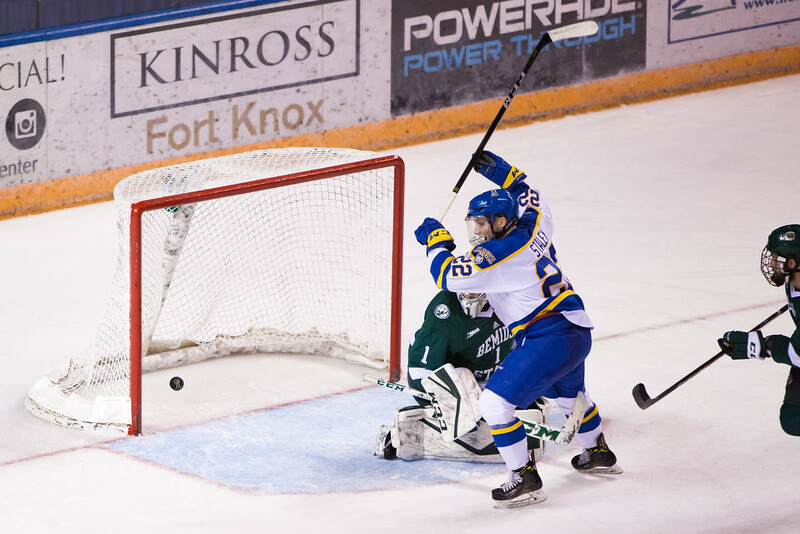 UAF made the kind of hockey history on October 10th 2015 that no team wants to claim – the Nanooks became the first NCAA Division I victim of Arizona State. Originally Posted by WeWantMore At least you guys have Packers colors. I enjoyed watching our Nooks come from behind, to get those 3 points! 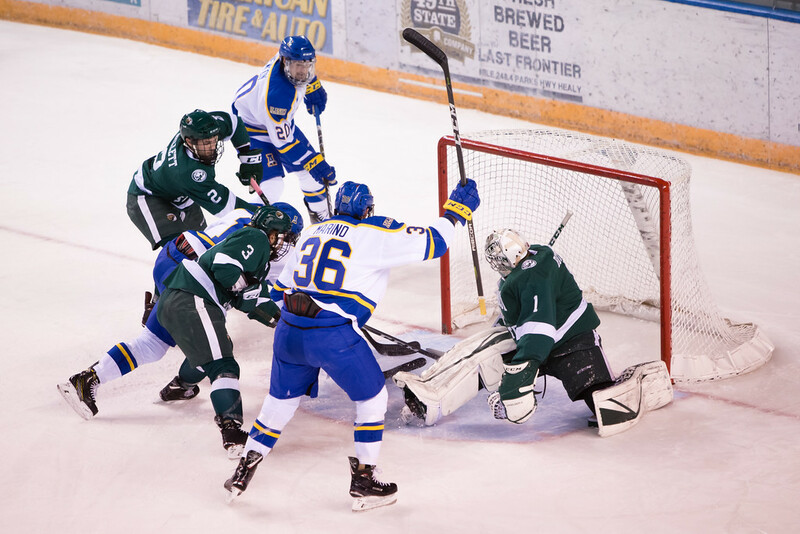 The Nanooks won a hard fought battle against Bemidji State tonight (11-3-17) 4-3 in OT. Austin Vieth (assists from Marino & Newton) puts the Nooks up 1-0 at 17:52 of the first period. After BSU tied it up in the first, Justin Woods (assists from LaDouce & Jandric) puts the Nooks back up 2-1 at 14:04 into the second period. BSU tied it up in the second and took a 3-2 led six minutes into the third. But this goal by Zach Frye (assists from Van Tetering & Heidt) tied the game at 3-3 with about 5 minutes left in regulation. Those photos of the GWG are outstanding! 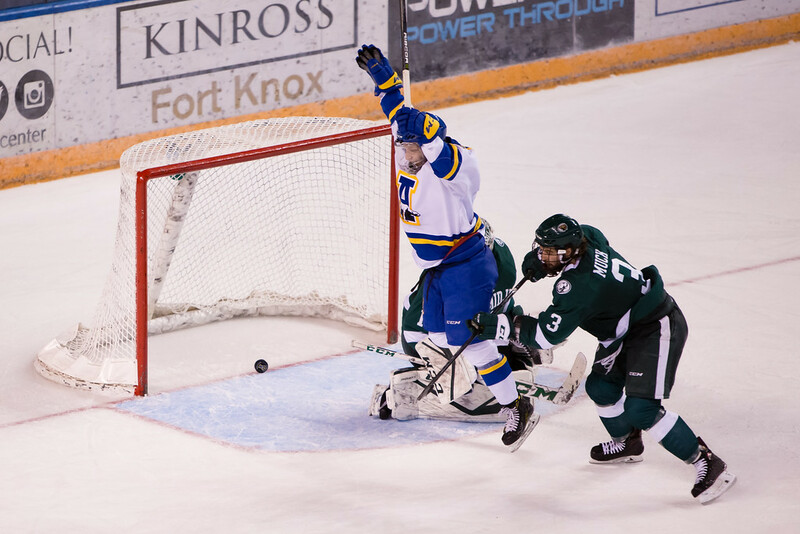 And nice win, Nanooks. ...but hopefully that's going to change this year. Of course the bad guys had a few good goals last night. Here are a couple. 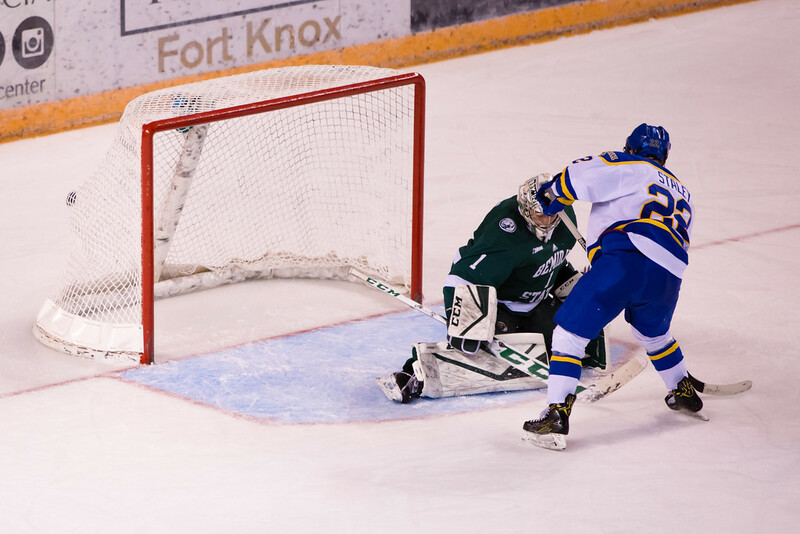 BSU tied it up 1-1 in the first on this goal by Justin Baudry. 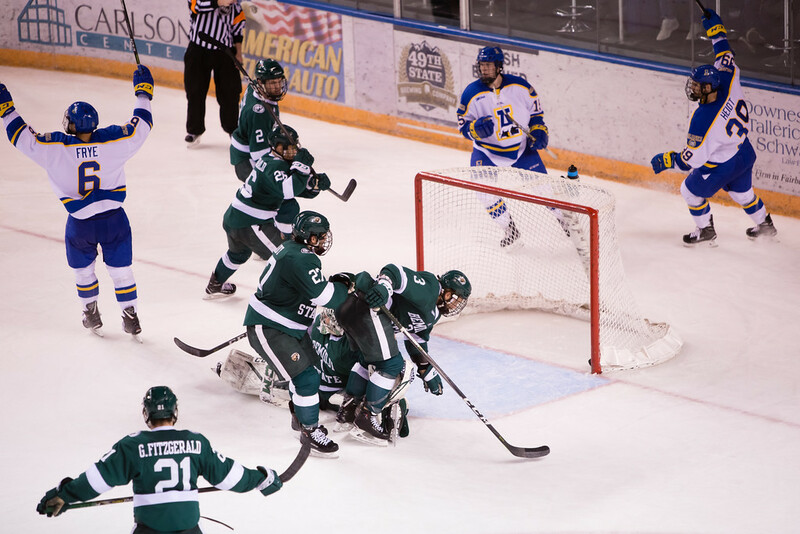 BSU tied it up 2-2 in the second on this power-play goal by Jay Dickman. I thought both teams played well and was fast paced for the first two periods. Both teams started to run out of gas a little in the third. BSU is not only fast, but they have quick sticks. We need to make passes and take shots just a little quicker. Getting a win last night was a must, but sweeping would make a statement. But it won't be easy. Let's go boys, get'r done. Saturday’s game closely mirrored Friday’s game, minus the tying goal. We had the chances at the end with Frye almost getting the game tying goal again, instead hitting the crossbar. 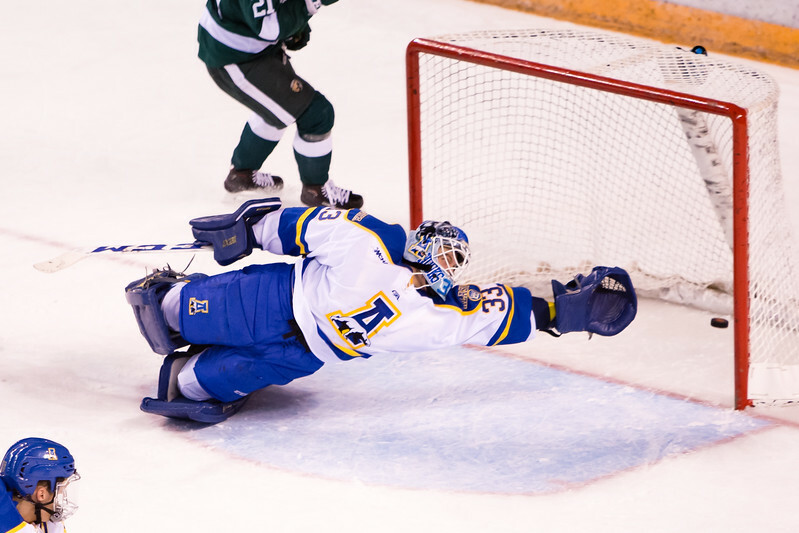 Like Friday the offense started clicking in the last 8 minutes, but this time Bitzer made a few great saves. We've had teams where our power play really stinks...couldn't gain control in the zone, couldn't pass, seldom got a good shot on goal. Doesn't seem to be the case this year...but we are 0 for 15 in conference play. And we have given up 5 goals on 17 attempts on the PK. We may need some tweaking to our special teams, but we also just need a little puck luck. If our special teams stats were only average, we could have had another win or two in our 4 conference games so far. But right now our conference stats are dismal. 0% PP and 70.6% PK. Turn that around this next weekend at Ferris.